It’s a simple goal, right? 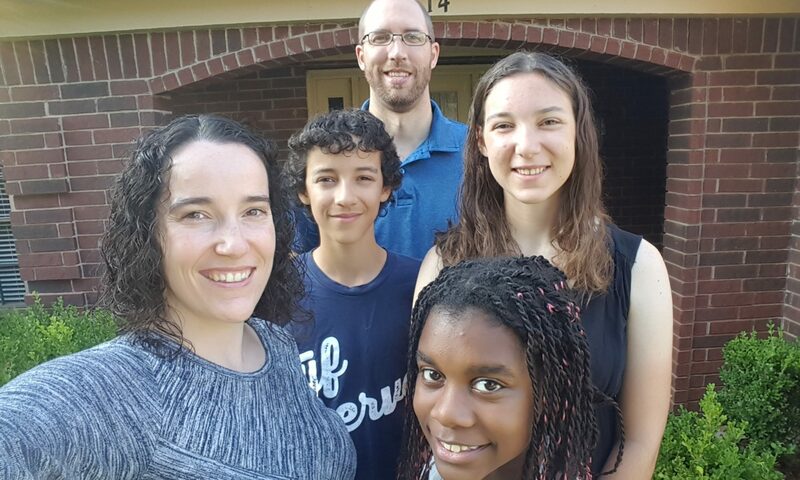 We are a family of five Canadians who have followed God to work in the Houston, Texas area. We focus our work on mobilizing Christians around North America to become more generous and more strategic in their financial giving to ensure that the “least of these” among us are being cared for. Scroll down for various links, or use the menu at the top to save yourself some time! We earn a living in a unique way. Instead of being paid a salary from the company we work with, we partner in finances with individuals and churches around North America. Each of them gives a small amount of our monthly budget. Many of them on a monthly basis and others on an annual or special basis. But it is through this partnership that we are able to continue in what we do. The great thing about this model is that it isn’t only us doing the work. Instead, there are about forty people who are actively working to change the world by being a part of our supply chain as we work on the front lines. It is a team effort! To join our team as a financial partner, you can visit our online giving platform at cten.org/ryanmichelle. From there you can setup monthly partnership amounts or do a single, special gift. All amounts given through this page are eligible for tax deductions in Canada and the USA. Who is CTEN? Commission to Every Nation is an organization that partners with workers like us to provide a legal financial covering for the work we do. They also provide pastoral care and encouragement for our family. They too are an important part of the team!